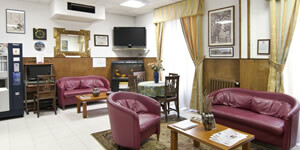 Welcome to the Rome Hotel Marsala a charming 2 star hotel offering all modern comforts at a great price to suit every budget. 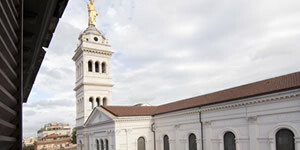 Hotel Marsala Roma is located right in the heart of the city, 100m from the main train station Termini and within easy reach of all of Rome’s most historical monuments. 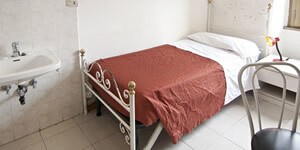 This great low cost Rome Hotel offers 41 rooms in a variety of sizes to suit the requirements of various sized groups. Just metres from the hotel you will find an incredible array of ancient wonders, glorious churches, stunning architecture, famous Italian cuisine and designer boutiques. Located a stone’s throw from Termini railway station, a range of public transport options including both underground lines, taxis and buses await you to help you explore every inch of the Eternal City. 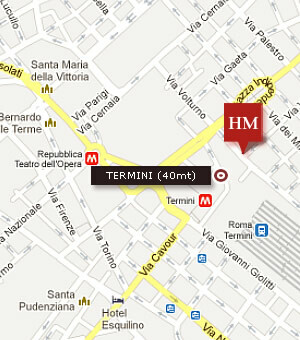 Check our location page for more information about our precise location including our Interactive Map of Rome. 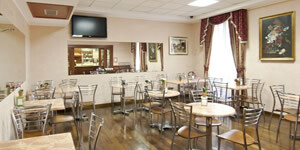 Roma Hotel Marsala offers a range of facilities and services and our highly trained staff are multilingual. Check out our very competitive rates and what special offers are available via our Reservations page. Click on our Photo Gallery where you can see for yourself all the public and private areas our simple yet modern styled hotel including rooms, our tiled en-suites, welcoming lobby and internet point. Our 41 rooms are equipped with all the modern comforts one could possibly need. Click on our Rooms and Services page for more details.